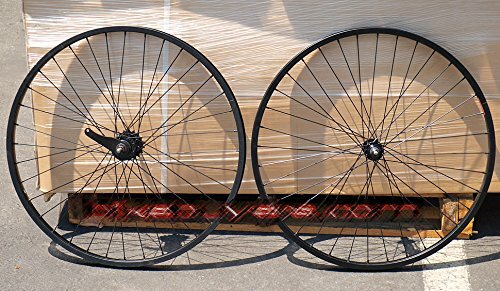 FITO 36 SPOKE 26'' WHEEL SET KIT - BLACK, WITH KT / QUANDO REAR COASTER PEDAL BRAKE, FOR SINGLE / 1-SPEED BEACH CRUISER BIKES by Fito at Joes V Cycle. MPN: PTwheel36black. Hurry! Limited time offer. Offer valid only while supplies last. THE AUTHENTIC FITO WHEEL KIT ALWAYS COMES WITH A "FITO" LOGO ON THE BOX. FOR 1-SPEED BEACH CRUISER BIKES. REAR WHEEL W/ THE KT (QUANTO) COASTER BRAKE. If you have any questions about this product by Fito, contact us by completing and submitting the form below. If you are looking for a specif part number, please include it with your message.